Quite a while ago, Ellie brought home a thrift store find that she was super excited about. The original location for this treasured find was right above the apothecary console. She quickly painted it and found out that she didn’t like it. It’s been sitting in our attic ever since. On a bored Saturday afternoon, I decided to dust it off and make it spiffy. 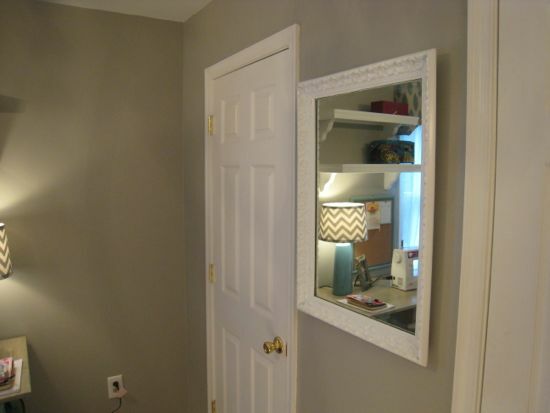 I started by applying some stripper to the mirror to get the old paint off. 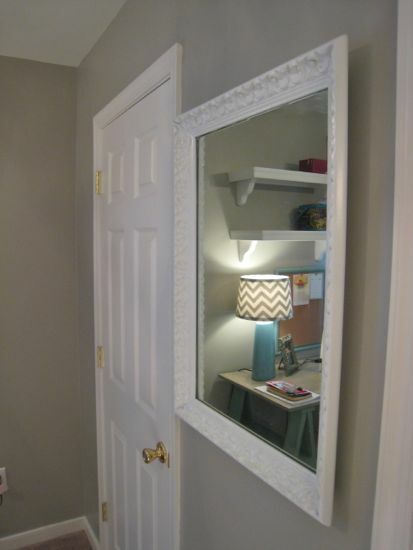 This didn’t work too well within all the intricate details of the mirror frame. Nothing really worked….so I tried a steel brush attached to my drill. This removed most of the paint and at least scuffed it up enough to take on new paint. I taped it off and sprayed it while painting our chair. Still not 100% sure where we will put this mirror but here’s where it resides currently.